Indonesian rescue workers will stop searching for the bodies of victims of an earthquake and tsunami on the island of Sulawesi on Thursday, the national disaster mitigation agency said yesterday. Indonesia's disaster agency say they have recovered 1,763 bodies so far from the 7.5-magnitude and subsequent tsunami that struck Sulawesi on September 28. 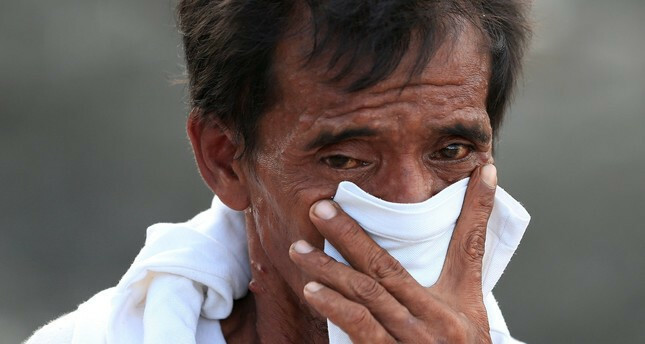 The number of people believed missing from the quake and tsunami that struck Indonesia's Palu city has soared to 5,000, an indication that far more may have perished in the twin disaster than the current toll. But there are fears that two of the hardest-hit neighborhoods in Palu, Petobo and Balaroa, could contain thousands more victims, swallowed up by ground that engulfed whole communities in a process known as liquefaction. "Based on reports from the [village] heads of Balaroa and Petobo, there are about 5,000 people who have not been found," agency spokesman Sutopo Purwo Nugroho told reporters yesterday, as reported by Agence-France Presse (AFP). "Nevertheless, officials there are still trying to confirm this and are gathering data. It is not easy to obtain the exact number of those trapped by landslides, or liquefaction, or mud." The figure drastically increases the estimates for those who disappeared when the disaster struck 10 days ago. Officials had initially predicted some 1,000 people were buried beneath the ruins of Palu. But the latest tally speaks to the considerable destruction in the worst-hit areas of Petobo and Balaroa as the picture on the ground has become clearer. Petobo, a cluster of villages in Palu, was virtually wiped out by the powerful quake and wall of water that devastated Palu. Much of it was sucked whole into the ground as the vibrations from the quake turned soil to quicksand. It was feared that beneath the crumbled rooftops and twisted rebar, a vast number of bodies remain entombed. Hopes of finding anyone alive have faded, as the search for survivors morphs into a grim gathering and accounting of the dead. "This is day ten. It would be a miracle to actually find someone still alive," Muhammad Syaugi, the head of Indonesia's search and rescue agency told AFP yesterday. Indonesia is frequently struck by earthquakes, volcanic eruptions and tsunamis because of its location on the "Ring of Fire," an arc of volcanoes and fault lines in the Pacific Basin. A powerful quake on the island of Lombok killed 505 people in August, and two moderate quakes near an eastern island yesterday reportedly damaged a bridge. The vast archipelago is home to 260 million people on more than 17,000 islands that stretch a distance similar to that between New York and London. Roads and infrastructure are poor in many areas, making access difficult even in the best of conditions.